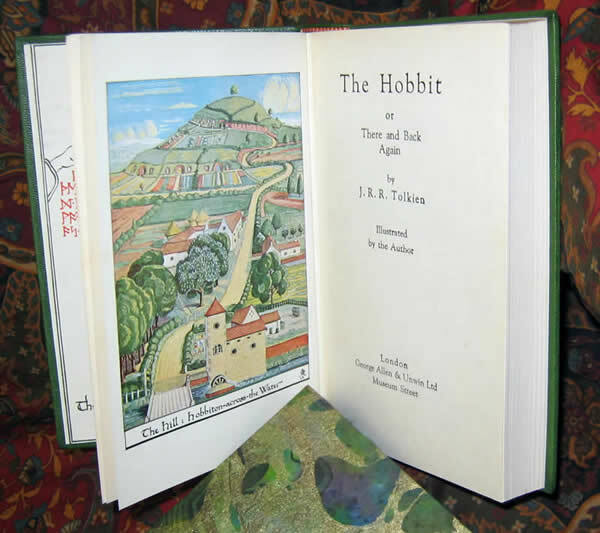 Tolkien The Hobbit The 11th impression (overall) published in 1959, or 7th impression of the 2nd Edition (1951). 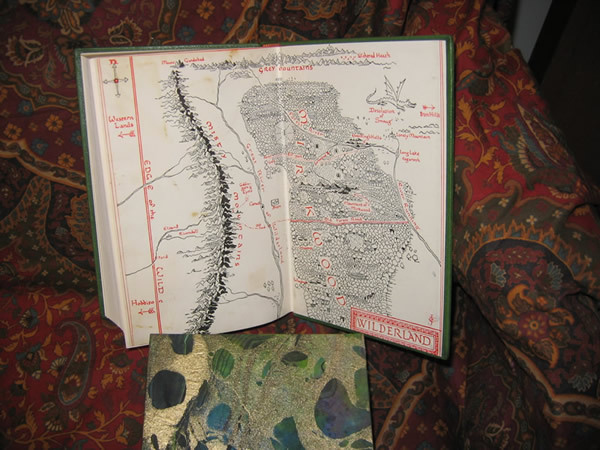 Decorative map endpapers lifted and reused as endpapers, with color frontispiece and mono plates all in excellent condition. 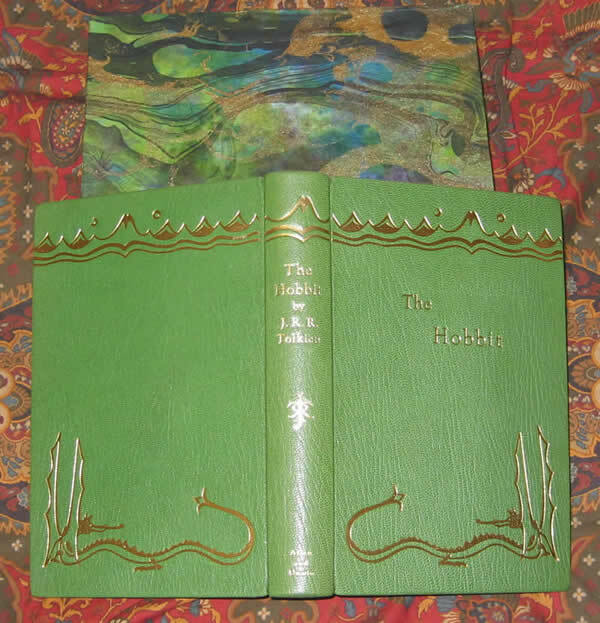 An excellent copy of a highly collectable book, for the discriminating collector. 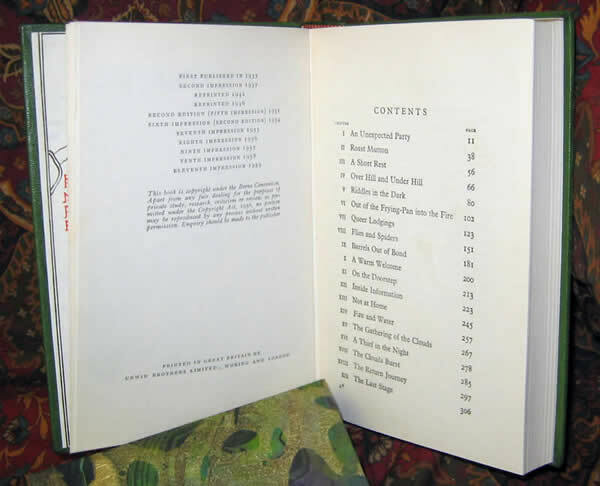 The 11th impression (overall) published in 1959, or 7th impression of the 2nd Edition (1951). Decorative map endpapers lifted and reused as endpapers, with color frontispiece and mono plates all in excellent condition. Only a spot or two of minor foxing, with offsetting on ffep where newspaper was laid in. With the authors/publishers note concerning 'several minor inaccuracies' preceeding Chapter 1. This copy has been elegantly rebound in full light Green Morocco leather. 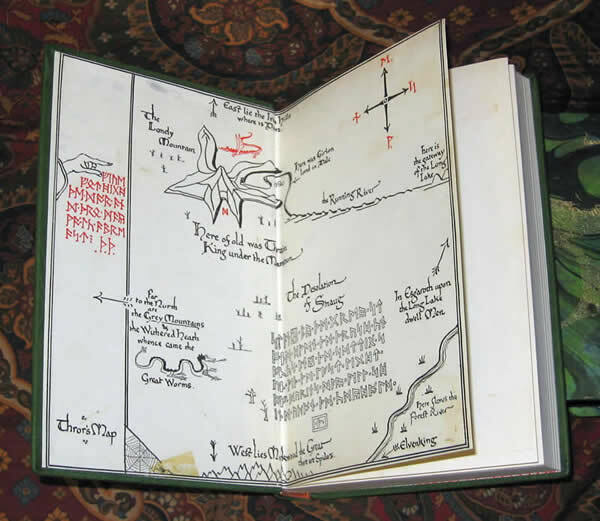 Features Tolkiens orignal 'Mountains and Dragon' design gilt stamped on the boards and spine. Has no other writing or inscriptions. 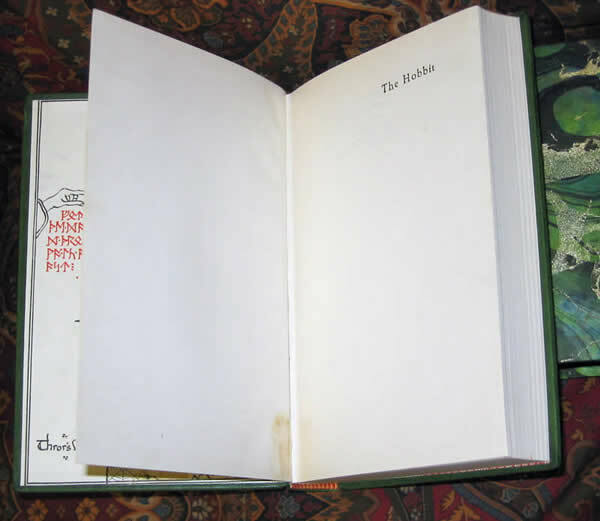 Pages are clean and bright, no tears or stains. All edges have been trimmed and top edge is gilded.